Currie Motors dealerships can be found in six separate locations across Greater London. The company sells new cars and vans made by Lexus, SEAT and Toyota, alongside a large selection of used vehicles from other marques. Servicing and accident assistance is offered by Currie Motors, and manufacturer-trained technicians are on site at the company’s dedicated Isleworth Toyota Service Centre. Business leasing and car and van hire is available, while the business also has flexible finance options for anyone looking to pay in instalments. On top of that, Currie Motors runs a Motability scheme, helping disabled drivers to find a car which suits them. The Currie Motors brand started life over 80 years ago in South Africa. When then head of the company Abraham Jaffe emigrated from his home country to the UK in the 1970s, he brought the Currie name with him, and began to expand the brand to represent a number of marques. 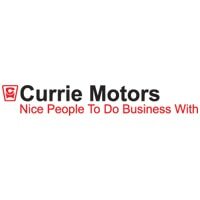 Today, Currie Motors remains family run, with the original slogan – “Nice people to do business with” – still in use. All new vehicles for sale at Currie Motors have been manufactured by Toyota, SEAT or Lexus. Test drives are offered at the Chiswick, Twickenham and Kingston sites, too. The business stocks popular models like the compact Toyota Yaris, the family-friendly Toyota Verso and the sleek Lexus LC, catering for a wide range of tastes. Pre-owned cars are available at Currie Motors dealer locations, and a wider selection of manufacturers are represented, like Ford and Nissan. All used cars purchased from Currie Motors come with a minimum 12-month warranty and free MOTs as long as the company continues to service your vehicle.